Are you hunting for interesting things to do in Cozumel? Do you wish to have the moment of your life in the island of Cozumel? If yes, look no further we don’t mind giving you ideas for your Cozumel Vacation here at Discover Mexico because we want you to enjoy your vacation. This is because there are plenty of adventurous activities at Cozumel for everyone in the family. Anyone who steps into the island will find something fascinating. From Cozumel discover scuba courses to free diving, here are top ten things to do in Cozumel. If you haven’t heard a few months back the first underwater bar in Cozumel opened up! What’s the name of this very interesting Bar in Cozumel? None other than, Clear Lounge Cozumel. This very unique bar claims to be the world’s very first underwater oxygen bar! 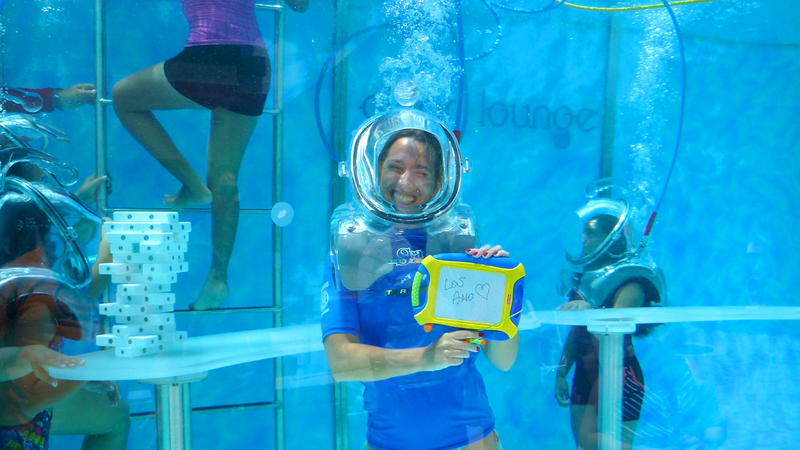 Here you can enter the underwater lounge and breath enriched scented oxygen all while playing with bubble guns and writing messages to others in the lounge and on the outside as it is inside the Puerta Maya Pier in Cozumel where the Carnival Cruise ships dock. Good thing about this cool Cozumel activity is that no diving experience is needed! If you love to explore through caves and ancient remains, ATV jungle & Beach adventure in Cozumel is your cup of tea. The off track journey comprises of small Mayan remains, a cenote and antique caves. This adventure is designed to keep you occupied throughout the day as there are different versions of said tour with a 2hr tour which is strictly ATVing and a 4hr tour which includes beach time and snorkeling as well. Here is a Cozumel travel tip for you, if you tried both of these and want to ATV but see something else ask about ATV to Jade Cavern tour which is not officially up on their website! 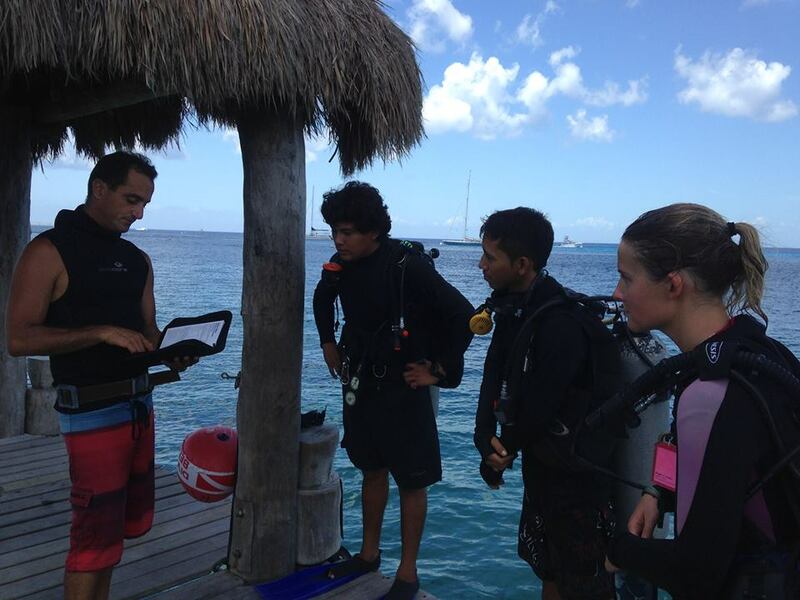 If you want to be a certified diver, the Cozumel Dive Certification program will suffice your need! The 2 day adventurous program is hosted in four different locations. The most famous one is designed and managed by legendary Jacques Cousteau. The dive will take you to caverns, gigantic coral pinnacles and marked tunnels. We definitely recommend diving in Cozumel with a personable dive shop someone like Scuba Mau. Most visitors prefer the Cozumel Scuba diving courses in the island wonderful and breath taking. These courses will let you immerse yourself in crystal, clean & clear waters. The courses are designed to suit the needs of novice, intermediate and experienced learners. As you become confident and familiar with the sport, you can test your diving skills at Cozumel Marin Park (the deeper waters). Few other noteworthy travel destinations at Cozumel would be Dolphinaris, Glass Bottom boat cruise and Pirate Cruise with Lobster Dinner. This entry was posted in Cozumel Travel Tips, Mexican Culture, Things to do in Cozumel and tagged Best Cozumel Excursions, Best Things to do in Cozumel, Best Tours in Cozumel, Cozumel, Cozumel Activities, Cozumel beaches, Cozumel Concept theme park, Cozumel Cruise Excursions, Cozumel Cultural Park, Cozumel Cultural Tours, Cozumel Excursions, Cozumel Family Activities, Premium Cozumel Tequila Tours, Things to do in Cozumel, Travelling to Cozumel, Vacation to Cozumel on September 25, 2015 by discovermex. Think of the Caribbean Sea and a Mexican island bang in the middle of it and you have Cozumel. Mostly famed for its scuba diving and a popular port of call for cruise ships, what is lesser known is how family friendly Cozumel is. In fact, there are numerous Cozumel family tours that would make your vacation a memorable adventure for your entire family. These Cozumel tours are not just family tours but also fantastic Cozumel cultural tours that your family will not forget anytime soon. If you want to know about some of the best things to do in Cozumel, read on! Now this list is just for ideas and we tried to focus on different areas and not on things that are all similar. Chankanaab Day Pass, Discover Mexico, and Sea Lion Show: Organized by the Discover Mexico Park, this Cozumel family tours is one of the best things to do in Cozumel. You will also get to experience one of the best Cozumel cultural tours during this. From Riviera Maya to Chihuahua to Oaxaca, you will experience the rich heritage and history of this wonderful island in this Cozumel tours. Your five senses will be engaged as you walk through tropical rainforests that are as rich in fruits as they are in animals. Get to see turtles, iguanas and macaws as you walk leisurely through the stunning forest. A visit to a the Museum of Popular Arts will bring you face to face with the rich cultural artefacts of Cozumel, from the textiles to the brilliantly carved wood animals to the pottery made from black clay. You can buy your own souvenirs at the arts and crafts store to take back home as memorabilia of your Cozumel cultural tours. Enjoy the best of Mexican food with a taco buffet that is part of this tour. When you reach Chankanaab National Park, you can snorkel down to any of the coral reefs that surround this pristine island. A reef lagoon beneath the park can be accessed to take you directly to the ocean. In the park, children will be delighted watching the dolphins at play or swimming in their own beach inlet. The botanical garden is home to many exotic plants that will be a pleasure for your eyes. 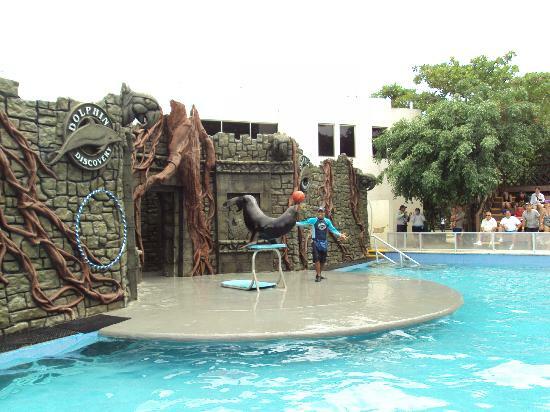 Don’t forget to watch the exciting sea lion show that is complimentary with this tour. In just one tour, cater to every member of your family, across all ages and different interests! Adventurous Cozumel Xrail tour: This well balanced tour is for those looking for some adventure while not going to extremes since this tour is operated by the same Wild Tours company that operates the extreme Xrail off-road adventure. The Adventurous is toned down, has buggies that seat four instead of two and does the off-roading at the beach on the other side of the island then returns to Playa Uvas for lunch and beach time. Pirate Dinner Cruise: Your children will be thrilled to be onboard an authentic old Spanish ship, the Jean Lafitte. Indulge your taste buds in the scrumptious dinner while enjoying the sight and sounds of the Caribbean Sea. 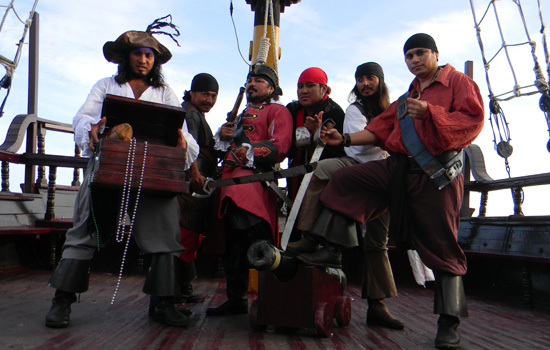 You’ll be equally amused with the pirate theme and show put on by the fantastic crew! Atlantis Submarine Tour: Dive down to 100 feet in a submarine with professional crew and give your children the experience of a lifetime! This is definitely a family tour as not everyone is ready to go scuba diving and this is definitely a memorable experience for a family. Xcaret Day trip: In this evening show, you will see scale models of Yucatan archaeological sites, Mayan ruins, stables, an aquarium and aviary, as well as a butterfly farm. Travel along the underground river through caverns and channels for an experience of a lifetime! A sure fire way to keep the entire family entertained as your day will fly by due to such fun! This entry was posted in Cozumel Travel Tips, Discover Mexico Park Tours, Things to do in Cozumel and tagged Best Cozumel Excursions, Best Things to do in Cozumel, Cozumel Activities, Cozumel Concept Park, Cozumel Cruise Excursions, Cozumel Cultural Park, Cozumel Cultural Tours, Cozumel Excursions, Cozumel Family Activities, Cozumel Family tours, Cozumel Tours, Cozumel vacation planning, Discover Mexico, Discover Mexico Cozumel, Premium Cozumel Tequila Tours, Things to do in Cozumel, Travelling to Cozumel, Vacation to Cozumel on July 30, 2015 by discovermex.